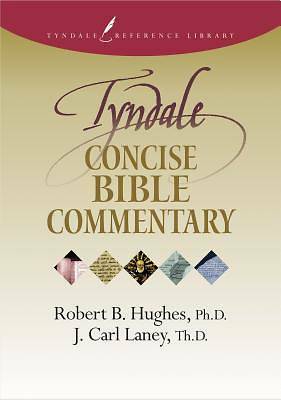 < B> Value priced < /B> < P> < I> The Tyndale Concise Bible Commentary< /I> offers clear and concise commentary on every passage in the NLT in one handy volume. Previously published as < I> The New Bible Companion, < /I> this helpful resource also includes introductions to each Bible book, an article about the theme of the entire Bible, and detailed maps of places mentioned in Scripture. Sunday school teachers, pastors, and anyone who studies the Bible will find this commentary a great starting point for learning about God's Word.< p> Teachers, pastors, and anyone wanting to learn more about the Bible will rely on the Tyndale Reference Library for solid, evangelical scholarship packed into concise, user-friendly reference works.